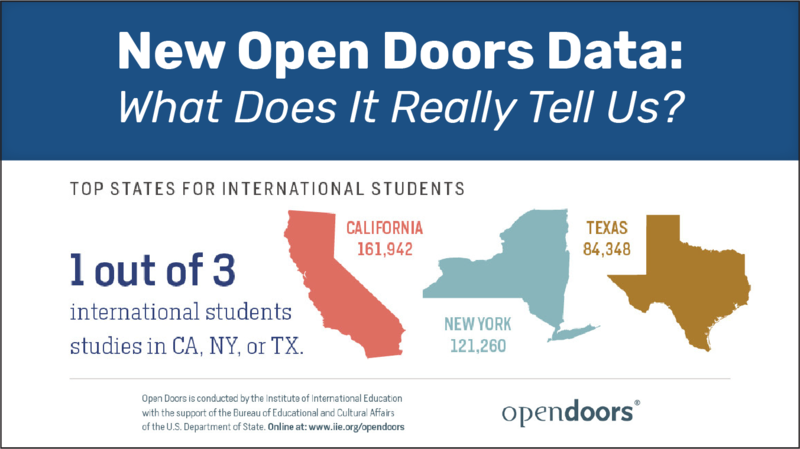 New Open Doors Data: What Does It Really Tell Us? NPR Marketplace fans may have heard a familiar voice on last Tuesday’s episode. Ben was happy to join the show’s ever-engaging economic reporters as they quickly reviewed the latest numbers from IIE’s Open Doors data and considered the issues at play. Those of us working in international student enrollment in the U.S. have monitored enrollment data even more carefully than usual over the past few years. In a time of political upheaval in the U.S. and globally, the impact on enrollment has been a nail-biter. How have anti-immigrant rhetoric, changes in visa policies, and rising violence affected enrollment? How will these trends affect us in the future? And how can universities counteract the negative messages and perceptions with positive ones? This is complicated work, and one that regular readers of our blog engage with vigor. And not for nuthin, but our market research with FPPEDUMedia predicted this turn of events eight months prior to the 2016 election. Our blog subscribers saw the storm clouds coming and had our tips and reports in hand. But even those who follow these issues closely would be forgiven for scratching their heads about the latest headlines about the new 2017/2018 Open Doors numbers. “Number of International Students in United States Reaches New High of 1.09 Million” says IIE’s own announcement. “New International Enrollments Decline Again” says Inside Higher Ed. We know that India is weighing heavily on the minds of international recruitment professionals all over the world... especially here in the U.S. How will mobility trends among this growing student population play out? And, where will the U.S. fall in the decision-making process of outbound Indian students? While the number of international students and specifically Indian students in the U.S. continue to grow, recent trends indicate that the U.S. is losing ground to Canada and Australia in the competition for Indian students. Why? We'll explore that question in this week's blog. And we will explore what you can do about it in greater detail at our International Student Recruitment Bootcamp in San Diego this February. Come learn with us, CGACC and our expert faculty – names from our industry you've known and respected for a very long time. We've limited this hands-on event to 100 attendees, so that the 1.5 days of learning and networking is intense and highly valuable to you. Read on to see how the U.S. and your institution in particular should be approaching the Indian student market. 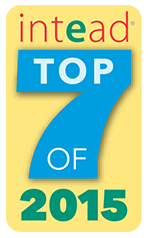 And we hope to see you at AIRC and then ICEF in Florida starting next week. Oh! and don't forget to attend our webinar TODAY at 2 p.m. EST on Wielding the Power of Data for International Student Recruitment.